Love the look of the wide graduated seed bead collars but hate how long they take to stitch? Cut your stitching time in half with this easy tutorial. 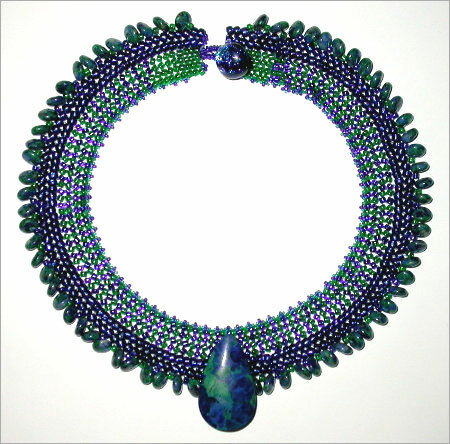 Uses seed beads in 4 sizes! Have fun with color.